We are a social entrepreneurship venture intimately allied with Hip-Hop. We stand behind the idea that people come before product. Our business practises are rooted in the advancement of Hip-Hop culture, so when you invest in BIOHH, you invest in tomorrow's promise. We strive to make sure the quality of the product compliments the quality of conversations. 1) Donate a percentage of the company's net profits to young people. In December 2009, we launched our first annual scholarship essay contest, awarding (2) $500 scholarships to two students to advance their work in elevating Hip Hop culture. 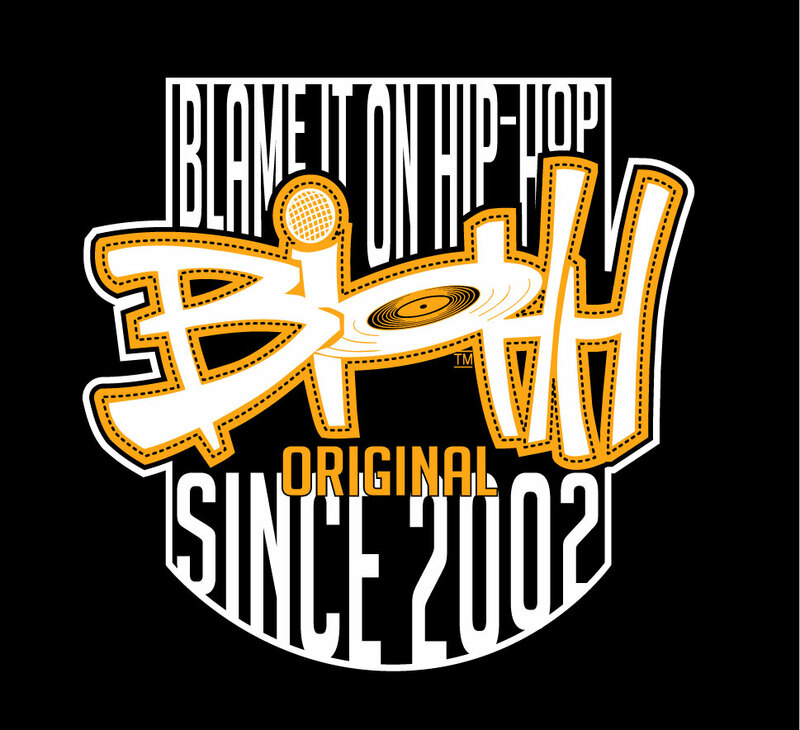 BIOHH is an acronym for "Blame It On Hip-Hop." To love Hip-Hop culture is to constantly be playing defense. From right-wing radio hosts to politicians in both parties, from hard-core white racists to leaders within communities-of-color, from academia, the media and beyond—Hip-Hop is never lacking in both criticisms and critics. And while some of that criticism is indeed valid—and necessary—it can be exhausting for Hip-Hop heads to have to defend the walls of our culture at all hours. We can point out the positive, socially-conscious Hip-Hop artists, we can illustrate the impact that Hip-Hop arts programs have made in communities across the world, and we can talk endlessly about the culture’s potential for positive change, but it never seems to be good enough. While BIOHH creates clothing designs that are capable of sparking discussion in and of themselves, we at BIOHH are not content at stopping there. By speaking to students about the power of entrepreneurialism, talking to teachers and parents about the positive aspects of Hip-Hop culture and even donating a percentage of our net profits to active students, we have developed a business that is that rare thing—one that is generating a tremendous buzz in Hip-Hop circles for all the right reasons. Hip-Hop is often about the story—50 Cent certainly didn’t become a superstar based solely on hip rapping ability; even legends like KRS-ONE and Nas have urban legends, accounts of battles won or lost, and various controversies propelling their careers. BIOHH is no different. In November of 2002, BIOHH was formed by the ideas of five men from different parts of the country, through a shared love of Hip-Hop and their unique experiences with Hip-Hop culture. While Hip-Hop clothing lines are a dime a dozen these days, we shine because, aside from making fresh clothes, BIOHH is an example of Hip-Hop entrepreneurs driven by something much more than pure capitalism— We are about action. And this is key. Activism and pop culture in the 21st century are going to be more intertwined than ever before. We are about making that bridge explicit, productive and powerful through sparking dialogue, putting our money where our mouths are, and making it okay to look good while feeling good. Not unlike clothing, social consciousness and Hip-Hop activism come in many different styles; BIOHH is one that people must take note of. President of Creative Marketing and Promotions James Cheatham.